Yesterday our "free shipping for blog readers" campaign got underway. The offer is good until next Friday. Some monks make chocolate, and others make hooch. The Economist has a concise summary of the challenges facing Japan's new prime minister, Shinzo Abe. As a way of thanking the readers of this blog, we're offering free shipping on all orders of Mellow Monk green tea. This offer is good for one week only—starting right now and ending next Friday, October 6, at 2 p.m.
Payments are processed through PayPal, which delivers industry-leading security. What's more, our tea is 100% guaranteed, so if you're not happy with your purchase for any reason, you can return the unused portion for a full refund—no questions asked. Anyone can take advantage of this free shipping offer, but we're publicizing it only on this blog. See? Who said reading a blog never pays off? 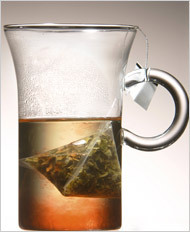 From WebMD: "Drinking Green Tea May Help You Lose Weight." The mother of Japan's biggest pop singer, Hikaru Utada, was recently caught trying to board a plane with over $400,000 in cash. Probably for the in-flight duty-free shopping, no doubt. Most ladies will undoutedly think "They needed an expensive study to figure that out?" upon reading the headline to this story. Tiger Tanaka and Tokyo Rose, R.I.P. Japanese actor Tetsuro Tamba, who played Tiger Tanaka in the James Bond flick "You Only Live Twice," has passed away. If you're into samurai flicks, you'll also know him for the huge legacy of films of that genre that he leaves behind. 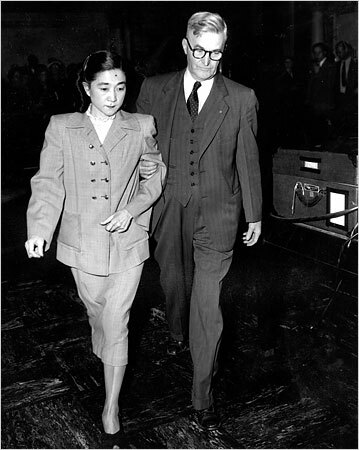 Also, Iva Toguri D'Aquino, who became notorious as "Tokyo Rose," has passed away at 90. These days, the former bad-boy author who wrote "Trainspotting" has replaced drugs with green tea. Minor burns — whether you fell asleep in the sun or grabbed the wrong end of a curling iron — can be treated with a cold compress of black or green tea, says Marie Savard, MD, a lecturer at the University of Pennsylvania School of Medicine. "Soak a dish towel in cold tea. The phytonutrients will reduce inflamed blood vessels." The proof is in: drinking tea is healthy, says Harvard Women’s Health Watch. Japan's video game arcades are positively addictive, says one writer. View pictures of unusual cloud formations, like the one below. 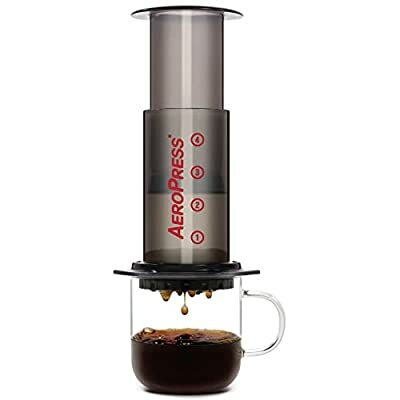 French presses such as the Aerobie Aeropress coffeemaker are popular for coffee, but they're also great for brewing loose green tea, too. For instance, the water in the brewing chamber of a French press stays in there until you press down the plunger, allowing you to fine-tune the brewing time. Now that the ban has been lifted, Japanese fans of American beef are lining up for gyuudon made with imported U.S. beef. Drowned out by the nation's cacaphonic celebration of the newborn royal heir is a low-level conflict between supporters of the two pricesses: Kiko and Masako. Belly breathing is a basic deep-breathing technique and an excellent way to relax. It's something that comes naturally to us, but as we get older we forget how. You can (re-)learn the basics from infants. Yo, check out these homies from Japan, yo! These boys know how to lock. From Yahoo! Japan: a picture of a baby stroller covered with tea bags. In commissioning this piece of "art" (their term, not mine), baby goods manufacturer Aprica says its message is that as infants grow and develop they need stimulation in all five sense. Besides, if you have a lot of tea bags on your hands, you have to do something with them. After all, you can't drink the stuff. Speaking of sumo, you can buy your very own pair of inflatable sumo suits, if you so desire. Thanks to Helen for the link. One of the basic rules of Japanese sumo wrestling is: No punching, and especially no punching in the face. Kotokanyu, a 19-year veteran of sumo, broke that rule in spectacular fashion this weekend when he punched his opponent in the face. Needless to say, there have been repercussions. One cup of green tea provides 10-40 mg of polyphenol bioflavinoids and provides more antioxidants than a serving of broccoli, spinach, carrots, or strawberries. According to some observers, Japan is becoming more modern and less alien to outsiders in many ways. One upshot: An American professor living in Japan and teaching a course on the 1950s films of famed Japanese director Yasujiro Ozu has to explain to his Japanese students the intricacies of the traditional Japanese family system. When you work nights, sleeping during the day isn't always easy. 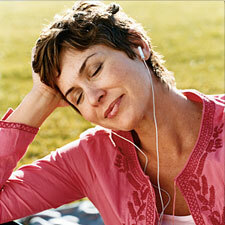 But there are a few basic rules for making sure you get the restful sleep you need when it's light outside. [A]s organic products — and their claims to superiority — have grown more common, scientists, policy analysts and some consumers have begun to ask for proof. Where's the evidence, they ask, for the widespread belief that organic foods are safer and more nutritious than those raised by conventional farming methods? The short answer, food safety and nutrition scientists say, is that such proof does not exist. Be prepared, parents. Your kids may soon waylay you with yet another reason why should get a PlayStation 3 console: to help eradicate disease. Taiko are traditional Japanese drums; one internationally known taiko artist is Joji Hirota. The shamisen is a traditional stringed instrument. The Yoshida Brothers have attracted much attention with their own unique fast-paced, modern style of playing shamisen. Taking a break will actually make you discharge your responsibilities better. Galinsky's surveys show that people who are happiest at work are those who take time for themselves. "If you shift your focus, you go back to the other areas of life with more energy," she says. "You're less stressed, more satisfied with life in general." Here's part one of "After Einstein's Brain," a documentary about Japanese mathematician Kenji Sugimoto's obsession with tracking down Albert Einstein's brain. Dr. T. Oshimi of Hokkaido explains the many health benefits of green tea catechins. Incidentally, the reason that the good doctor doesn't list tamaryokucha as one of the four types of green tea is that tamaryokucha is a type of sencha—grown and harvested in the same way and processed identically with one exception: at the end of processing, the leaves are curled instead of straightened, hence the name "tamaryokucha" (curled green tea). Research shows that compounds in green tea prevent dioxin from causing cancer. No matter what the latest toy sensation in Japan is, it always involves robots. But now geeks are putting aside traditional mold-injected plastic figurines in favor of Kami-robo (paper robots), which players assemble themselves. Top Leaf and Hojicha have arrived! We just received a shipment of Top Leaf and Hojicha (Roasted Green Tea) from the Nagatas in Japan, and the "Buy tea" buttons for those two teas have been re-activated. Our most profuse apologies for the stockout, but that's unfortunately what happens when having the tea shipped to us in small batches for freshness's sake. Japan's chisan chishou movement is about consumers actively seeking out locally grown produce. As green tea grows in popularity, do-it-yourself teabags are going high-tech. Tea pouches (also called tea filters) like these are a good solution for enjoying loose-leaf green tea on the road, but at one dollar a pop, using them regularly at home or at the office would get expensive if you're a five-cups-a-day person like me. As for pre-bagged tea, the problem remains that manufacturers spend more on the bag and the bagging process than they do on the tea inside. In other words, just as great coffee is whole-bean, great tea is loose-leaf. Incidentally, Mellow Monk's Green Teas offers imported Japanese tea filters as part of our Green Tea Starter Kit (scroll to the bottom of the destination page). Photographer Norman Rich has an online collection of nature photos, including a gallery of raven photos like the one shown below. 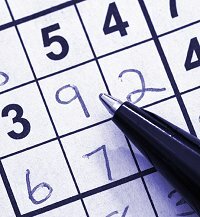 No wonder Sudoku puzzles give your brain a good work-out. Scientists say solving them depends on neural pathways that even the most powerful computers can't replicate. A study published in this week's Journal of the American Medical Association has associated drinking lots of green tea with decreased early death, from all causes, including cardiovascular disease. This effect was found to be stronger in women. More Top Leaf Green Tea and Hojicha is on the way! Unfortunately, we just ran out of both Top Leaf Green Tea and Hojicha (Roasted Green Tea). But have no fear—more is on the way! I apologize to those who wanted to order but couldn't, but as you know, we import our tea in small batches for the sake of freshness. Those who know and appreciate our tea's fresh taste will undoubtedly agree that it's worth putting up with the occasional wait. However, please also understand that as soon as we run out of any tea, we immediately disable the ordering button for that product. We will never take your money for a tea that isn't in stock! From a blog reader in San Antonio, Texas: a 1980s Suzuki Gemini commercial with some pretty amazing stunt driving. As an added bonus, there's also a spiffy '80s soundtrack. Psychology Today has a great article about how the polyphenols, tannins, and other important compounds in green tea help makes us mellow. A study from the University of San Francisco found that the polyphenols in green tea can boost availability of the important brain substance dopamine in the areas where it's needed. Dopamine is a signaling substance in brain circuits that are crucial to creating positive mood states. Japan's little prince has a name: Hisahito. That a loophole in Japanese law effectively makes magic mushrooms and other psychoactive plants legal isn't very well known even among the Japanese themselves. But if use of such hallucinogens spreads, I wouldn't be surprised if the loophole got pulled shut very quickly. Japan is beginning to equip office buildings with an earthquake warning system that can provide building occupants with a warning up to 30 seconds before earthquake shock waves arrive. Is it just me, or have there been a lot of stories lately about people who live to a ripe old ages? Well, here is one about a sausage-and-waffle-eating World War I veteran who lived to be a 112. Said one of the doctors who autopsied his body: "All of his organs were extremely youthful. They could have been the organs of someone who was 50 or 60, not 112. Clearly his genes had some secrets." The doc continues: "A lot of people think or imagine that your good habits and bad habits contribute to your longevity," Coles said. "But we often find it is in the genes rather than lifestyle." But those of not blessed will longevity genes need a little extra help (hint, hint). Speaking of deep sleep, here's the world's first underwater hotel. This article claims that we have Starbucks to thank for the explosion in popularity of green tea: "Starbucks choosing green tea for their menus [was comparable] to Oprah choosing a new author for her book club." Starbucks didn't just jump on the green tea bandwagon—they helped get it rolling in the first place. Barley tea in the U.S.
An Associated Press writer wonders whether barley tea (mugicha) could be the next trendy drink. Will Japan's Internet big shot end up in the big house? When Takafumi Horie showed up for the first day of his trial on September 4, a lot of waiting reporters and spectators probably didn't recognize the now-notorious Internet entrepreneur at first: He was wearing a suit and tie. Let's sing it together: "Every girl's crazy 'bout a sharp-dressed man." With Japan's population aging rapidly, stores there are retrofitting to be more senior-friendly. Yet another disease against which green tea appears to be effective: Huntington's disease. Green tea can apparently inhibit the formation of the lethal protein aggregates that are a characteristic feature of Huntington's disease (HD). This finding was reported by Dagmar E. Ehrnhoefer, a member of the research group of Dr. Erich Wanker of the Max Delbrück Center for Molecular Medicine Berlin-Buch (MDC), Germany, at the international conference "Neurodegenerative Diseases: Molecular Mechanisms in a Functional Genomics Framework" in Berlin. Here is a good summary of the politics surrounding the birth of the Japanese royal family's newest prince, who, even though the little tyke is too young to know it yet, has diffused what could have been an ugly national showdown over who should succeed the throne after the current crown prince. 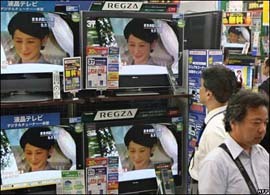 Go ahead, I dare you: Go to Japan and try to find something else on TV right now. From Canada.com come these nine rules to beat insomnia. For me, the hardest rule to follow is number 2, "Get up at the same time each morning, including weekends." Even weekends? But isn't sleeping in what weekends are all about? The rule that helped me the most in the past when I was having trouble sleeping is number 7, "Exercise regularly." When I started walking a couple of miles each day, I found I fell asleep much more quickly. From an American woman's memoir about life in Kyushu is this excerpt about giving birth in a Japanese hospital. Japan breathes a collective sigh of relief: Princess Kiko has given birth to a boy. By automatically becoming third in line for the throne, the newborn lad, who won't be named until next week, forestalls any succession concerns for another generation. Previously, the absence of a male heir had been the cause of a highly charged debate over whether to allow a princess to ascend to the throne for the first time in a thousand years, or to re-royalize a branch of the imperial family that had been de-royalized after the war. Hooray! We avoid what could have been an ugly national showdown! If Japan's Princess Kiko has a boy, he'll be third in line for the throne. 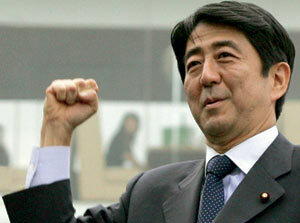 If it's a girl, then Japan's constitution may have to be amended. We'll know which soon, as the princess is scheduled to deliver by caesarian section tonight U.S. time. A 92-year-old retired reporter offers up his advice on how to live to a ripe old age. These sometimes scathing reviews of mass-market green teas give you an idea of some of the stuff you can run across out there if you're not careful. Then again, bad experiences like that will only make a person appreciate authentic green tea like Mellow Monk Green Tea that much more! A couple of recipes: green tea dip and green tea ice cream, which you can make with one of those new-fangled ice cream makers. A centenarian in New York State talks about the secret to long life. The picture below, from the Kochi Shinbun, is of shaved ice made with tamaryokucha green tea. The creator of this treat won't say what his secret is. To get just the right green-tea taste and aroma, he says that he used neither hot-steeped nor cold-brewed tea. He says only that he came up with his secret method of preparation after much trial and error. From Asahi Shinbun: a photo of "red rice," a variety of rice that takes on a reddish-brown hue in late August and early September. This rice was planted as part of a local program to preserve old local varieties of rice. The folks in the picture were part of a crowd drawn on "red rice appreciation day," held to teach locals about the rice. The famous sand dunes of Japan's Tottori coast are under attack by weeds. In the last five years, the sand dunes are estimated to have shrunk by tens of thousands of cubic yards. New seawalls nearby have changed the currents that long carried sand to the dunes, and the lack of fresh sand appears to have made it easier for rainfall to accumulate and previously unseen weeds to grow. Sales of new suitcases are soaring in Japan. Click here to learn why. This book review has nothing to do with green tea or Japan but does have everything to do with emotional well-being. The book's message essentially is: "Don't be so envious about how much money others seem to be making—because, first of all, everyone struggles with money problems, even the ones who seem to be living the good life." "We convince ourselves that our problems are ours alone, and we spend so much of our time hiding our angst, which causes more stress," says Boss. "What I learned is that everybody struggles with issues around money, nobody is completely happy and comfortable -- and knowing that is a huge relief. We feel less alone."